I have mentioned before that I’m not a fan of Wes Anderson as a director. I just don’t get the appeal of his style. The long cuts, the holding scenes on one location and the over-detailing of aspects like symmetry do not impress me as much as a decent story with great characters. I think those aspects can get lost in the mix and the story element in particular can fall to the side in favour of style. That is why for the first half of The Grand Budapest Hotel, I was very pleasantly surprised. The quick, fast-paced story which was being rushed along with zippy dialogue delivered brilliantly by the two central cast members felt different to what Anderson had done before. More than anything else, the story was clear, avoided a whole bunch of confusion and needless misdirection and was very funny. Of course, most of this is down to the way Ralph Fiennes brings the character of Gustave alive. He is great as the head concierge of the hotel and the way he interacts with the guests, weaves a solid backstory and delivers great one-liners and effective put downs makes him one of the more memorable characters of recent movies. He also perfectly forms a double-act with the newest addition to the staff, Tony Revolori as Zero. The way in which these two play off each other is thick with great chemistry and you could watch scenes of nonsensical pointless interaction between the two, because it is really funny. These two characters exist in a very well-designed world. You can never argue with the way in which Anderson designs his sets and creates the worlds his characters inhabit. Often they can be slightly distracting, but never less than beautiful. 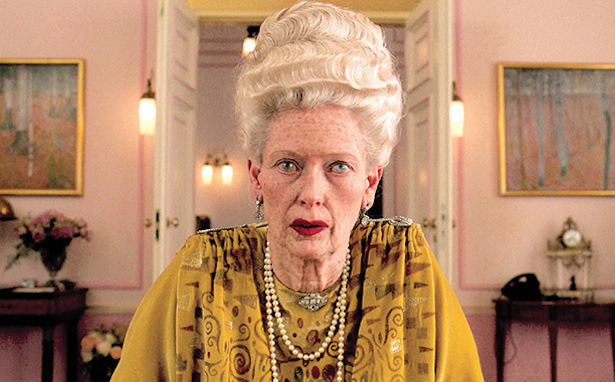 In The Grand Budapest Hotel, everything seems to perfectly compliment the story that is being told. Or at least half of the story. The first half of the story is great. It is exciting, engaging and very funny. The issue is the second half of the movie. As with most Wes Anderson movies, the plot seems to lose direction and the constant, fast-paced talking, story and scenes become tiresome. It begins to feel like interconnected, random events, with newer, more extravagant or bizarre characters being introduced. These extra characters are great but like other Anderson movies, it feels like he has to find random roles for each of his friends and past cast. Some work very well, like Willem Dafoe as a hitman, while others just seem pointless, like Jason Schwartzman. It’s not that these additions that make the film confusing, just a lot more bloated and ridiculous. A shame because it starts so strongly. Fiennes just about saves the movie though and whenever he is on-screen, the movie is much better for it. 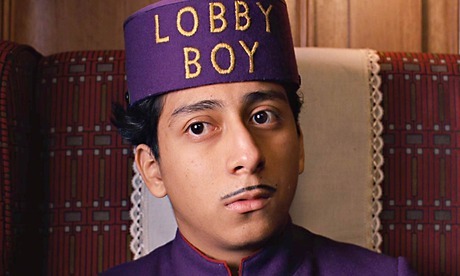 It is one of the best performances I have seen from him and probably the best performance anyone has made in a Wes Anderson movie. 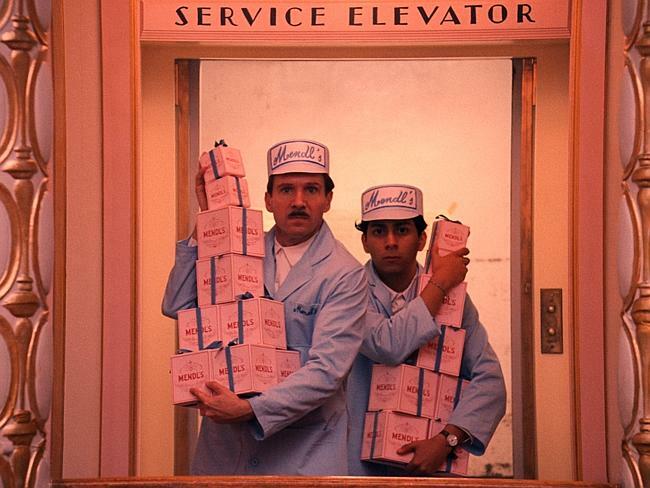 Overall, The Grand Budapest Hotel is a Wes Anderson film I can get on-board with. It has great characters, with the double act at the centre of the film making it work well. The design and world created is also enticing and engaging but the story lets the film down. It starts well but begins to lose it’s direction, particularly when Anderson begins to offer all his friends their usual, customary roles. I had chest pains reading this. I love love love both Wes Anderson and this movie. So brilliant. I’m sorry. I can appreciate what he is trying to do but just don’t really “get it” myself. Thank you. I really appreciate the comment! I can’t say I’d recommend the film but it’s one that many others seem to like, even if I’m not a fan. You essentially show your appreciation for one of the films of a director that you do not favor in style-wise. I especially like when you describe how the world of story is “enticing and engaging”. It’s a strange one. I like the world he crafts in Grand Budapest Hotel but then the other stylistic devices – Title Cards, the long uncut scenes and random characters – just out me off.